If you are thinking about starting a new sport, we recommend women’s boxing classes. The reason being boxing improves quality of your life. By strengthening your muscular system, you will begin a very healthy life. If you are aiming for a healthy life, you should choose a sport that you can do routinely in any season. Boxing is a sport where both women and men will love and will continue enjoying after each boxing lesson. You should definitely complete your boxing outfits while continuing to work on women’s boxing classes. You can find your favorite color and style of boxing outfits in shops selling sporting goods and in boxing halls. One common misconception with boxing is that it is only for men. Boxing is a sport where women can strengthen their muscle structure and learn self-defense. The most important detail about women is their confidence in safety with this sport. Rest assured, we advise you boxing is the most enjoyable way of women to learn to defend yourself and lose weight. Boxing halls giving women’s boxing classes are increasingly popular for this reason. Women are becoming more curious about defense sports. Even more so, women who know boxing techniques are confident they can always protect themselves. 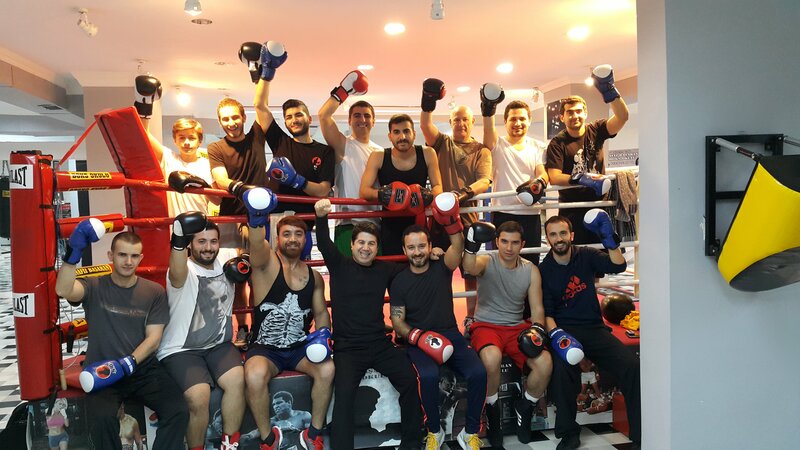 Professorial personal trainer Onur Basaran teaches you boxing in the easiest and most fun way. Technology make us live in isolation more and more, without real interaction with people. We do this without noticing. When you observe your teeangers and compare their social life with that from your childhood, you can see how different the future society will be. We are so reliant on computers, tablets and smartphones in our daily lives that we only spend a small fraction of our days with our friends. How does technology driven loneliness affect the growth of our teenagers? If you see this problem, you need to take preventative action now and consider teenage boxing lessons. You are really privileged when you choose boxing. Boxing changes your body in a great way. Boxing is ideal for building a strong core and gives you the perfect physique. Build your perfect muscles with beginner boxer workout from Onur Basaran. We recommend boxing workouts for beginners who are looking for a change from traditional cardio and weight training. We know everyone wants to get fit! These features are privileges for those who work out regularly, take boxing to be a part of their life and continue on a steady basis. Why beginner boxer workout ? At the same time, those who want to live longer should know that sports and a healthy life always go hand in hand. People who weakened physically cannot enjoy life as much as those who are physically stronger. This is not the case of the sportsman. People who enjoy sports also enjoy life, they can lead a more joyful life. People who take boxing lessons get better looking bodies, at the same time they get the benefits of being trained as an athlete in all areas of their lives. They age slower than their peers and therefore remain younger for longer. The secret of this sport is that you are empowered both physically and mentally. The aging process begins with your muscles releasing themselves. People with muscular strength are more immune from this process. If you start boxing, you will retain your youthful appearance for much longer. We think boxing is a privilege because there is no other sport that develop your reflexes inall the muscular groups of your body. Another aspect of strength is the strength of your heart. Let us share a little known knowledge. The heart is a completely deliberate organ. With the strengthening of the muscles, your heart muscles will be strengthened as well. The strengthening of your heart means that you have a healthy and long life. When we think that the very definiton of life is the heart, the health of your heart is one of the greatest gift that you will get from taking boxing lessons. You need to play sports to be healthy, to look good, and to achieve youthfulness that is important to everyone. Boxing is one of the most beneficial sports you can learn. Beginner boxer workout is a great opportunity for those who want to start new. If you do not have a lot of spare time, we suggest you to try boxing once or twice week. If you want to invest in yourself and be a healthy person, you should definitely consider boxing. Health is a value you can not give up, boxing offers you this. Boxing lessons make people more successful. If you are active in your life, you will benefit in better health and so much more. A good life must be full of successes. From here you can understand the importance of learning boxing. Start changing your life by taking boxing lessons Toronto and having more movement in your life. You should be aware that sportsmanship can remove person’s bad habits rather than putting them in harmful environments. As your children builds self-discipline with the sport, you will be able to keep them away from bad habits. Because sports, in a way, will affect your life in a positive way. We know that students are completely focused on studying to ensure a successful school period, staying away from social life if necessary. Well, do you believe that focusing on the school is healthy enough to stay away from social life? During the training period, we advise young people preparing for university exams to take boxing classes to achieve a more balanced lifestyle and better mental health. 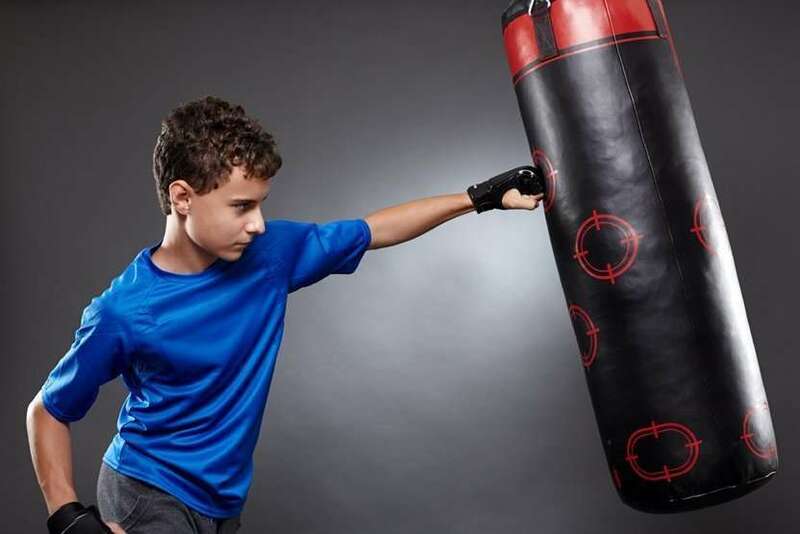 We think that boxing exercises are extremely useful for personal success, and that students will become more ambitious and successful in their educational life thanks to individual sports. The school period corresponds to the years adolescence. It is important to note that the final preparations, physical or mental, are equally important for the adulthood. The greatest mistake of our young people is to regard their body developments as trivial while giving importance to the schooling. Gyms offering boxing classes are places where young people should evaluate during the examination periods. You can spend a positive time for physical development by boxing two days a week, you can also get up from the table and increase your perception potential by allowing more oxygen to go to the brain at the same time. Body development and intelligence development are parallel to each other. While trying to be successful in education, it is a mistake to reduce the most of the body activities while preparing to get the best grades from the examinations. By doing sports, the brain produces serotonin, and you feel happier and stronger. The vitality, active perception and awareness that young people need is made possible through sports. As a part of education, sports must be found in young people’s lives. The personal ambitions of young people who receive boxing classes increase their success. Because it is an individual sport, young adults also see positive changes in their characters by boxing. Success is inevitable for boxing enthusiasts and it is well known how to achieve it. They learn concentration through boxing, focus on the goal they want to achieve. So, thanks to these passions, they try to fight rather than take refuge in the rules to be more successful in exams. The biggest reason why young people fail their exams is that they are isolating themselves from many things while preparing for exams. However, by doing sports, trying to be as mentally and physically prepared as possible, they will be best prepared to succeed in exams. They have to work hard to achieve success, know they have to deserve success. They must realize the importance of trying to have a successful life and to do it right. Sports, boxing classes allow students to learn how to manage their ambitions.